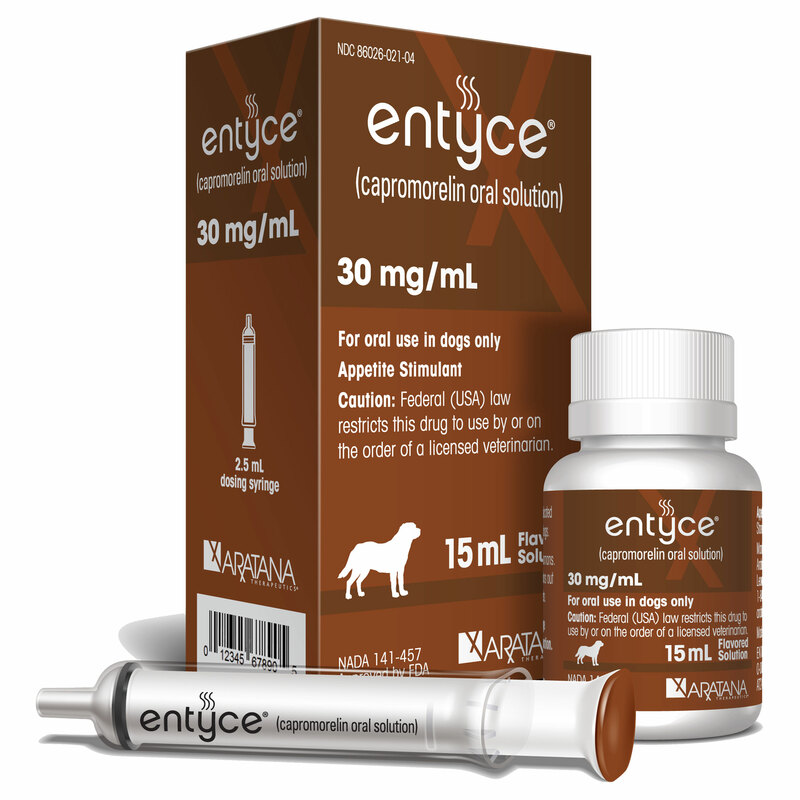 Entyce from Aratana Therapeutics Inc. is now commercially available to US veterinarians. Entyce (capromorelin oral solution) stimulates appetite by mimicking the effect of the hunger hormone ghrelin, binding to specific receptors in the hypothalamus to cause the feeling of hunger, according to the company. The once-daily flavored oral solution comes in 10-, 15-, and 30-mL bottles for dogs only.